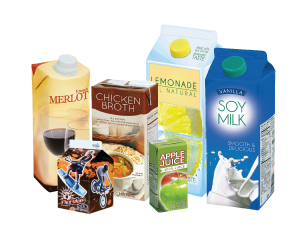 Creamer cartons, juice boxes, soy milk, almond milk, wine boxes, boxed water, juice cartons, soup and broth boxes, milk cartons and Tetra Pak cartons. 3. toss in the recycling bin! Caps are now recyclable as long as they’re attached to the container.